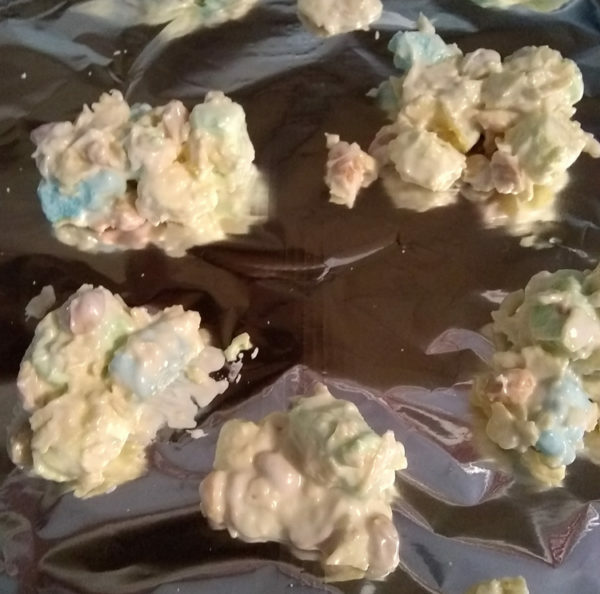 Last year I meant to make some of the almond bark treats that my aunt and mom and I used to make when I was a kid. 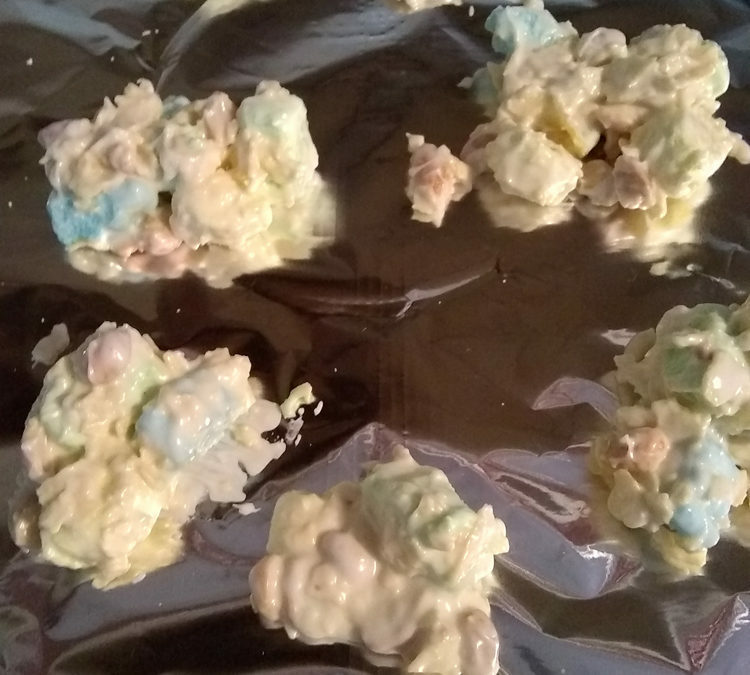 (Hint: Cover a few big marshmallows with melted almond bark, pile them together and tell your kid it’s “reindeer poop”. Bonus points if you put it on a leaf. LOL!) This was my first attempt at recreating one of the recipes, updated a bit for modern sensibilities (I prefer low salt chips.) I hope you enjoy. I found them crack-a-licious! The picture is my first attempt, cooled on aluminum foil since I was out of waxed paper. These sweet and salty candy bites are easy to make and addictive to eat. Melt the almond bark in a large microwave safe bowl. Usually this takes about 2-3 minutes. Work in 15 to 20 second intervals. With the almond bark melted, crunch the chips and mix the rest of the ingredients in another bowl. Dump into almond bark. Stir until well coated. Drop by generous tablespoons onto waxed paper. Let cool and harden. This is based on my memory of a candy I made with my mom when I was a kid.